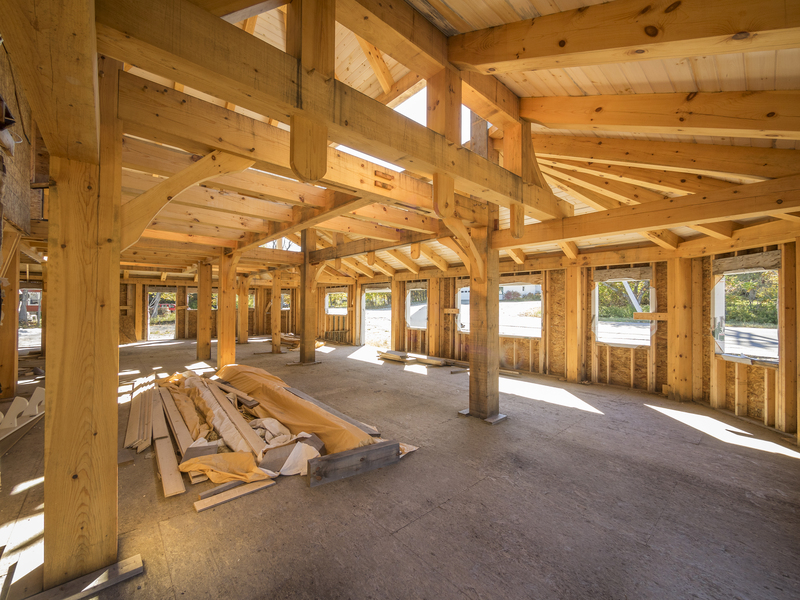 If you have a timber frame home, it can help to understand the general maintenance that needs to be done to keep your home in good condition. 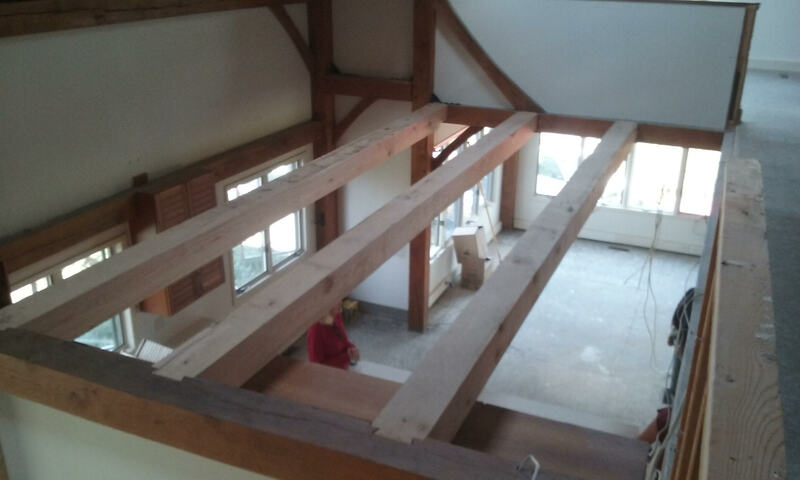 You’ll find that by staying on top of timber frame maintenance you will be able to keep your home in good condition. Over time proper maintenance can save you money on costly repairs or other issues that may come up. install HVAC systems. Plus, they feature insulated exterior sheathing. These properties make it much easier to increase the overall insulation properties of the home and make it easier to get more efficient heating and cooling. One of the greatest investments you ever make is the purchase of a home. 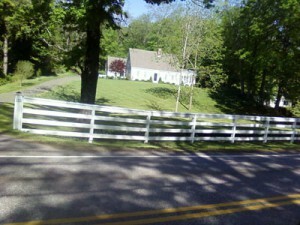 Once you have the home, though, you should consider improving it in various ways. Every improvement you make stands to increase your home’s resale value, and that helps to increase the return on investment you will receive once it is sold. 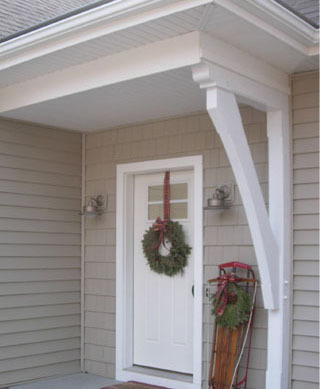 The perfect starting place for your home improvement scheme is the front entranceway, and the simplest way to make amazing strides toward having the best-looking house in the neighborhood is to add a post and beam portico! 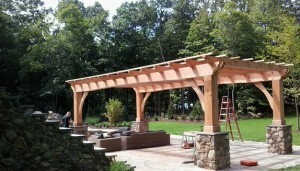 If you know what a pergola is, you may already know how perfect it can be as a focal point in any landscaping scenario. Getting to know these trellised wonders is the same as growing to love them as the versatile structures that they are. If you’re curious, here are a few of the major advantages they can have for your home’s exterior space. If your dream home does not exist, you may consider having your house built. A popular method of erecting a house is the post and beam construction. This method of construction consists of setting up the skeleton of the house before the house can be built. 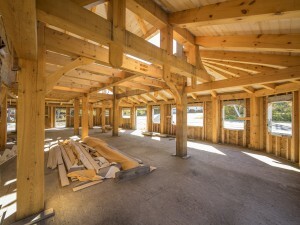 This skeleton is made up of large, heavy wooden beams, which are long rectangular square polls, placed about eight feet apart and are connected to one another in order to develop the frame of the house. These beams are then used to support the walls and roof of the house. When designing your home’s landscape one of the ways you can quickly boost your curb appeal as well as enhance home safety is with the installation of a property fence. Our strong post-and-beam fences have proven to be great additions that not only help to turn a house into a home, but provide the added benefits of safety and security.